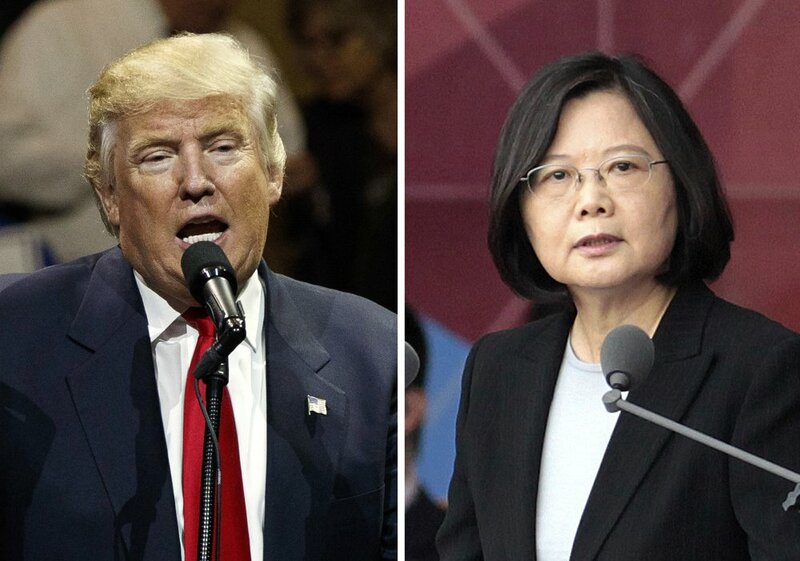 U.S. President-elect Donald Trump, left, and Taiwan's President Tsai Ing-wen. An official Chinese newspaper called Donald Trump "as ignorant as a child" on Monday after the president-elect again suggested that he was reconsidering how America deals with Taiwan, one of the most sensitive issues in the relationship between the U.S. and China. U.S. President-elect Donald Trump, left, and Taiwan’s President Tsai Ing-wen. An official Chinese newspaper called Donald Trump “as ignorant as a child” on Monday after the president-elect again suggested that he was reconsidering how America deals with Taiwan, one of the most sensitive issues in the relationship between the U.S. and China.